In our seventeen years of RVing, motor-home manufacturers have not exactly been paragons of quality control, solid engineering or reliability - far from it in fact. The development of the industry has many parallels, 50 years on, with the origins of the automobile industry at the beginning of the 20th century. Hundreds of would-be manufacturers appeared in the '50s, '60s and '70s with the vast majority disappearing almost as quickly. In recent years there has been both additional fall-out and some encouraging consolidation among manufacturers and this trend seems likely to continue. To see where the industry might be headed it is useful to have a perspective of where it is now. To just look at the pictures, click here - read on for a hearty dose of stupefaction. On a scale of Harley-Davidson to General Motors, the entire recreational vehicle industry - travel trailers, fifth wheels, folding campers, truck campers and all Class A, B and C vehicles - at nine to ten billion dollars annually, is about 1-1/2 times the revenue of Harley-Davidson and 1/20th of that of GM. This is at the manufacturer level, at the retail level the annual sales are around 14 to 15 billion or the equivalent of Office Depot. Keep in mind, these numbers refer to the entire product range of the entire recreational vehicle industry - individual manufacturers or individual market segments are much smaller. For most buyers, recreational vehicles are big ticket items, and, in most cases, the decision to purchase is discretionary. As such, this industry, along with sailboats, light aircraft and summer cottages, is at the sharp end of the fortunes of the nation with the feast or famine roller-coaster making orderly progress difficult. 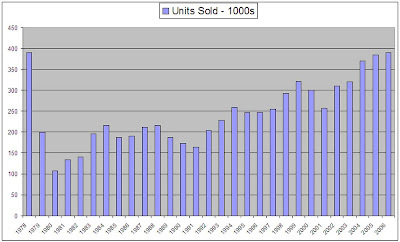 The following chart, data from RVIA, of annual RV shipments since 1978 is testament to this, wherein it took 28 years to eclipse the unit count attained in 1978. 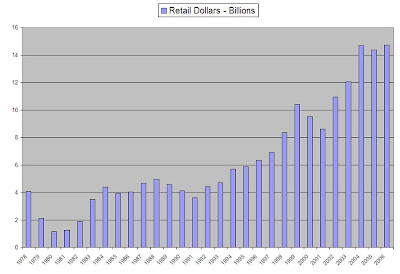 Accordingly, industry retail sales have also been unpredictable year over year, bounced around by external influences such as the vitality of the economy, the dot.com bubble and the 9/11 attacks. Note, that although the chart above indicates significant growth over the period covered, the inflation adjusted growth is quite sobering. 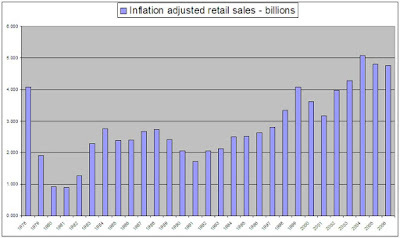 The next chart shows the same data in 1978 dollars with Consumer Price Index backed out. None too dynamic! There turns out to be a positive side to this languid growth. The next chart shows the change in the average retail cost across all recreational vehicles over the period shown - an almost four fold increase of the consumer cost in current dollars. 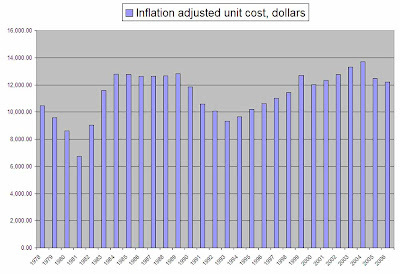 In inflation adjusted dollars the same data, shown below, represents an extremely modest increase in the average recreational vehicle cost to the consumer - roughly 20% over 28 years. This significant accomplishment parallels that which happened in the automotive industry over the half century from the 1920s to the 1970s, namely automobiles prices fell dramatically in terms of current dollars while reliability, comfort, convenience, appearance, feature sets and fuel economy all improved enormously. 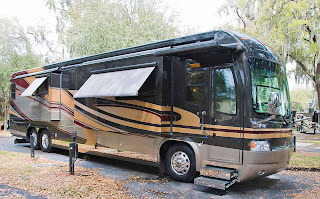 In the case of RVs, slides are now common place, satellite TV reception is taken for granted, refrigerators, air conditioners and microwaves are standard equipment, high efficiency diesel engines are available in all classes of motorized units and options such as navigation systems and home theater installations are commonplace. Many of these items were unheard of 30 years ago let alone readily available in recreational vehicles and all at just a minimal real price increase. To recap then, there are approximately 400 thousand recreational vehicles built each year offering steadily increasing value for money with an average retail price of $38,000. Score one for the industry. 2007 was a down year for the industry and the unit total was actually a little over 353,000. 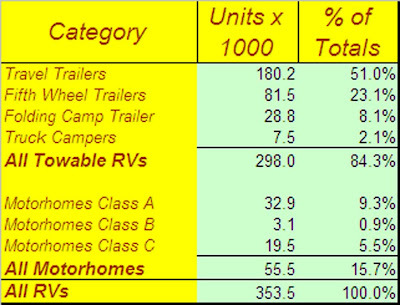 The RVIA classifies RV sales as shown in the following table. 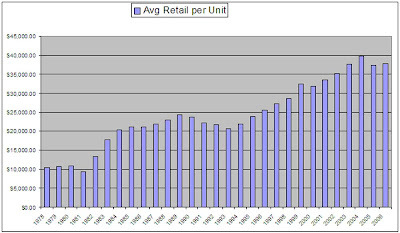 The unit counts and percentages shown in each category are for 2007. The squeeze could be on for at least one of these classifications, the Class B motor home. Many of these units are more expensive than entry level, and even mid level Class C vehicles, most of which come with at least one slide, an extended body width, 78 inch high ceilings and purpose built plumbing systems. With just 3,100 Class Bs sold last year industry wide, it is difficult to see how this niche can succeed long term. Who Makes all of these Vehicles? At approximately $2.0 billion annual revenues, Fleetwood Enterprises, Inc. is #2 of the big five. At one time, Fleetwood claimed to make more motorized RVs than all other manufacturers combined and, from the huge number of brands on their marquee - more than 50 in all, it isn't difficult to believe. In addition to American Coach, there are six more Class A diesel brands, eleven Class A gassers, nine brands of mini-motor homes, eleven fifth wheel brands, five ultra-lites and four toy haulers. With respectable Class A coaches starting at $100,000 they are well positioned to service entry level users as well as those moving up from upscale fifth-wheel or Class Cs. Fleetwood came into being in 1950 with a line of travel trailers but dropped these fairly quickly when their focus shifted to manufactured housing. Surprisingly, it was not until 1964 that they turned again to recreational vehicles which have subsequently eclipsed their housing business and which, at the present time, is in a fairly sorry condition. Fleetwood employed around 11,500 people as of June 2006 and is quoted on the NYSE under the ticker FLE. Like Thor, its stock is currently just above its 52 week low. Number three in sales volume is Monaco Coach Corporation with its subsidiaries Beaver, Holiday Rambler, McKenzie, Monaco Coach, Safari and R-Vision. Another public company on the NYSE with symbol MNC, Monaco Coach Corp., formed in 1993, is the successor to the original 1968 company and has had annual sales in recent years in the order of $1.3 billion. Currently, its stock is above its 52 week low but still 40% down on the 52 week high - what an opportunity! 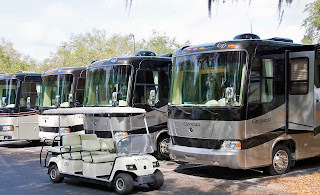 In addition to 37 motorized products the company produces 34 towable models and is also involved in the development and sale of luxury motor coach resorts. At the end of 2005, company-wide employment was a little over 6,000 full-time employees. Coming in at number four, and one of the older companies in the industry, is Winnebago Industries, originally incorporated in Iowa in 1958. 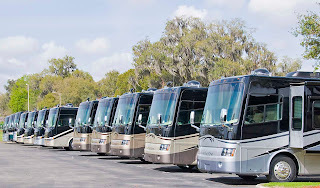 In common with the top three manufacturers, Winnebago is listed on the NYSE (WGO) and is currently 35% down on its 52 week high although it too, is 20% above its 52 week low with sales for 2007 at $870 million - down from 1.1 billion in 2004. Winnebago has restricted itself to entry level Class C vehicles through mid-range Class A coaches and has just two brands in its stable, Winnebago and Itasca, each of which are represented by a about a dozen vehicles identical between the brands with the exception of labels and paintwork. The company employed approximately 3,600 people in the fall of 2005. The last, and the smallest of the big five, is privately held Country Coach, snatched from the impending train wreck that was National RV just one year ago, by founder and former Chairman Bob Lee along with a group of investors, for a mere $38 million or thereabouts. Starting life as Country Campers in 1973, a two man operation making slide-in campers, Country Coach renamed itself in 1987, five years after producing its first diesel powered Class A luxury coach. The company continued, in spite of its acquisition in 1996 by National RV and the concomitant quality and engineering lapses that persisted throughout their ownership, and today is estimated to enjoy annual sales in the range of $600-700 million as their 1,600 or so employees strive to rebuild their reputation. Part of this effort has been an extension of the product reach with the addition of a couple of lower end units, the Tribute and the Inspire, and an upscale unit, the Rhapsody, squeezed between the Affinity and the Prevost conversion. The big five therefore, account for $7.5-8.0 billion of the approximately $9.0-9.5 billion industry total at the manufacturer level. Who has the other odd $1.5 billion? While there are several companies that appear to have carved out sustainable niches and at least one up-and-comer who could make the big time, there are as many as 100 lesser known recreational vehicle manufacturers scrapping over a billion dollars of sales. While this may sound dismissive of their efforts, profitable operation of even a $10 million business that toils to design, tool, manufacture, test, certify and market big ticket regulated items of this nature, is a tall order indeed. As for the niche players, these include companies such as Marathon Coach, Newell and, marginalized as they have become, Foretravel. 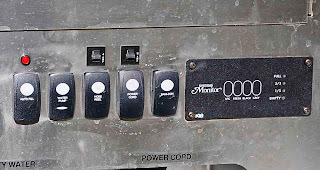 Marathon is by far the largest Prevost converter and, at about 75 units per year - several times the number of all other Prevost converters combined - may be around for a while. Newell functions as a high line coach boutique meeting the needs of that rare breed, the Newell owner - kind of incestuous but it has thus far worked for them! Foretravel might be hoping to head in a similar direction - their pricing is about right, just need some mystique and they will be all set. The up-and-comer mentioned above is Tiffin Motorhomes. 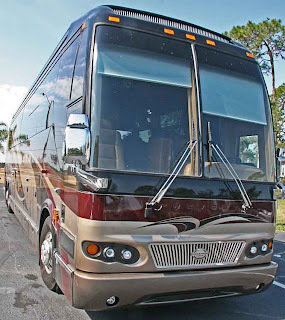 Started in 1972 by Bob Tiffin in Alabama, this company is developing the hallmarks of a serious Class A contender in medium and high line luxury coaches. As a private company, accurate financial and performance information is not readily available, but a reasonable estimate of their Class A volume might be 1,000 to 1,200 coaches per year with sales in the region of $150-175 million. Tiffin products seem to be well regarded both by the industry and by consumers and stories abound of Bob Tiffin's follow through in satisfying customers. A brand to watch. Finally, there is The One that Got Away, National RV Holdings Inc. Founded in 1964, National RV began acquiring various disparate recreational vehicle manufacturers, not the least of whom was Country Coach in 1996. Other brands included Dolphin, Islander, Pacifica, Sea Breeze, Surf Side, Tradewinds and Tropi-Cal. 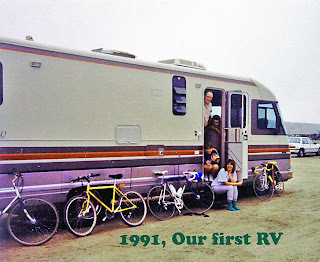 During their peak years, 2004 and 2005, the National RV group produced nearly 3,000 units per year, but unfortunately were consistently in the red from about year 2000 on. After an accumulated loss of $80 million, the owners closed the facilities in November 2007 effectively terminating the seven brands and orphaning thousands of vehicles, none of which seem likely to be adopted by other investors. 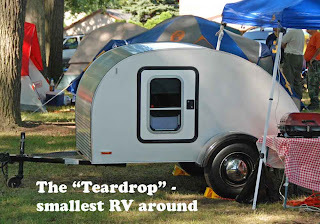 Where are these RVs?The RVIA estimates that there are a record 8.2 million RVs are on the roads in the United States. Further, this number is projected to i ncrease to 8.5 million by the end of 2010 even with 2008 shipments expected to be almost 5% down, year over year. However, the most interesting aspect of this 8 million RV estimate is that, by the RVIAs own figures, less than 7.5 million RVs have been produced in total over the last 29 years. 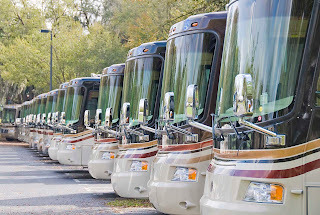 If every single one of those 7.5 million are still on the road (making the average RV age around 15 years) there have to be another 700,000 units on the streets that are 30 or more years old! Amazing. My guess - the true number is significantly less than the industry likes to imagine. What fuels optimism for the Industry? Consolidation, shake-out, rationalization and retrenchment. First, consolidation. 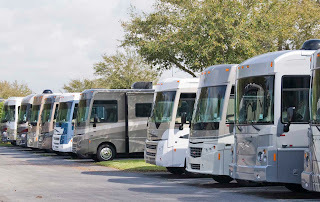 Like the automotive industry before it, the RV industry appears set to mature into a small number of billion dollar plus organizations with adequate resources to better navigate market fluctuations and perhaps even begin to manage the sales channel from the top down. Shake-out, a corollary of consolidation, will continue as major players gain clout over the dealer network, further crimping the market for fringe operators. The recent demise of National RV, unfortunate in the short term, will be beneficial in clearing the field a little for other contenders. Rationalization flows from well executed consolidation. Consolidation for the sole purpose of getting bigger is not always a prudent strategy - Bendix, Teledyne and many other 20th century ego trips bear testament to that. Mergers and acquisitions executed with realistic synergies in mind are frequently successful and at least two of the big five appear to be pursuing such plans to good effect. Finally, retrenchment. After a furious, and often spurious, technological tour-de-force over the last eight years, during which dozens of scantily tested, not-ready-for-prime-time contrivances were foisted upon hapless coach owners, the industry seems to be entering a more conservative phase. After all the gee-whiz tank monitoring schemes, guess what? 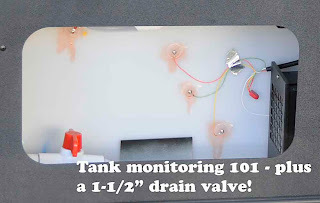 - we're right back to screws through the side of the tanks and a simple push-button indicator. Remember those witless LCD instrumentation displays that were unreadable between dawn and dusk? - gone, replaced by a brilliant new concept of needles pointing at numbers! Other long overdue, low-tech enhancements include a 1-1/2" fresh tank drain instead of that tiny 1/4" tease, an auto-fill system for fresh water maintenance, driver side memory seat and some built-in provision for winterizing. Best of all, most "New for 2009" lists are limited to just a few modest items, many of which sound like a way forward. Let's hope that this is the RV industry finally coming of age. Whadya think? 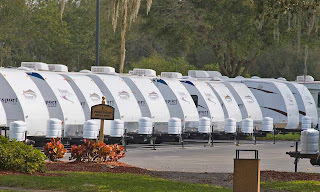 Serendipity this week left us at The Great Outdoors - TGO as it is known by the inmates - near Titusville, Florida, where we continued our personal exposé of RV resort options. For those who remember the sixties English TV series named The Prisoner, starring Patrick McGoohan, there are eerie parallels between TGO and The Village where No. 6 was incarcerated. Overall impression? The most suitable, thus far, for our ill-defined requirements. While scouting around for the necessities of life - Walmart, grocery stores, malls and the like - we ran the gamut of the offerings of Titusville and Cocoa. An unexpected bonus of our visit to the area, was the launch of the shuttle taking goodies to the international space station. 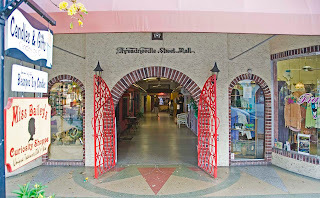 Titusville, population 40,000, is typical small-town Florida, wide four lane main drag, sand and weeds decorating every piece of bare ground, slow cycling traffic lights and an overall air of hapless dilapidation. Renamed from Sand Point in 1873 for Colonel Henry T. Titus, a confederate with an exceptionally questionable past, who had married money from Georgia, and who made the town his own. Titus laid out roads on land owned by his wife and, in 1870, erected The Titus House, a large 1-story hotel next to a saloon. He donated land for 4 churches and a courthouse, the latter in a successful effort to get the town designated as county seat. St. Gabriel's Episcopal Church, built in 1887 and added to National Register of Historic Places in 1972, is one of just a handful of items of historical interest in the area. Not much to look at, St. Gabriel's is kept securely locked. 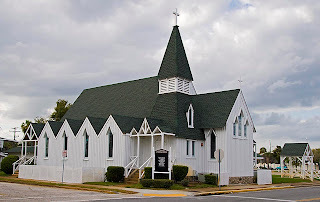 A dozen miles south of Titusville is the town of Cocoa. Named either after the native Coco Plum tree or the label on a box of Baker's Cocoa - nobody seems to know for sure - Cocoa, along with Titusville, enjoyed rapid growth in the nineteen fifties and beyond when Cape Canaveral was selected for the US Space program. Although Cocoa is currently home to about 16,000 people it suffered, along with Titusville, from high unemployment and unsaleable homes as the space program wound down. A local initiative is Cocoa Village and the Diamond Square Development aimed at improving downtown property values. The outcome remains unclear except for a rash of kitschy stores along a short stretch of Brevard Avenue. If you have a few hours to spare, you could spend one of them here if you don't hurry. "Why should the Japanese have all the fun" I mused, while reading about the imminent Japanese pursuit and slaughter of a thousand whales in the advancement of "scientific study". After a little thought, the solution came to me. The thrill of mammal taunting, no inclement weather, minimal danger and, best of all, no need to leave dry land - perfect! Where is this hunters Nirvana? At the nearest swimming pool. With a little container of fishy food and my trusty pith helmet, I set off. Past the rest rooms, through the picnic table jungle, sidled by the evil smelling barbecue and finally, skirting the shuffleboard courts, reached my goal. 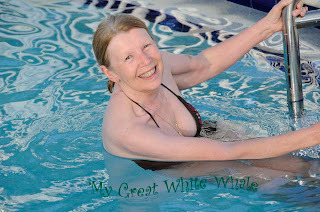 As luck would have it, there was a solitary critter cavorting in the pool and I managed to capture a couple of snapshots of this saucy specimen. 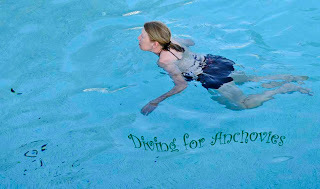 In an attempt to energize the old thing, I tried lobbing anchovies into the pool but, despite numerous heroic lunges, nary a one was caught. As night fell and exhaustion set in, she finally beached herself at the shallow end and had to be revived with a large glass of Merlot.